Busch Gardens Tampa has confirmed that the opening date for Falcon's Fury will be May 1st, 2014. 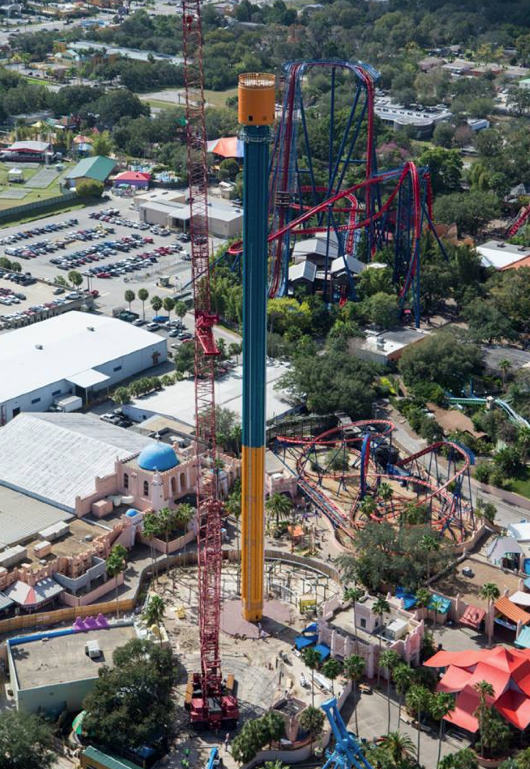 The world's tallest freestanding drop tower will take riders to the top of a 335 foot tall tower before plunging them down - face first - toward the ground at 60 miles per hour. Falcon's Fury will open as the centerpiece to the all new Pantopia themed section of the park. Filled with brightly colored buildings, the area will contain rides, new food options, shopping, and live entertainment in an enclosed theater. There will be plenty to enjoy in Pantopia after you catch your breath from that face-first drop!